“There was only one thing to do – and that was the right thing”. So said the American television channel in making the decision to cancel the highly successful comedy series, Roseanne after the comedienne made a racist tweet about an advisor of former President Barack Obama. Despite a hit rating attracting over 27 million viewers – including current President Trump – the channel chose to do what they thought was right – and that was to send a signal that racism of any kind is unacceptable. Racism; sexism; sexual assault; child abuse; violence; psychological manipulation; cultural offence, workplace harassment, road rage – the impact of violence is experienced in multiple ways. This week, Tu Pono: Te Mana Kaha o Te Whānau landed in Hokitika, hosted by the incredible wonder of Arahura Marae. As the korero flowed, the shimmering light-show above reminded us in its multi-coloured vibrancy to experience life in its richness. The architecture and interior design of the whare emphasizes connections through whakapapa; the stories that link whānau to tupuna, the unique cultural theatre into which Tai Poutini Ngai Tahu stand. It was the perfect setting to feel safe to share, to be open to the korero, to think how we can eliminate harm from all our environments. There was one act on this grand stage that left all of us awe-struck. During the powhiri a mokopuna made his way to the tupuna whakairo that greet us by the doorway into the whare. It was like he was drawn to their essence – walking with purpose and confidence to mihi to them, to kiss them, as if they were his taua and poua lined up in the line to hongi. It was a powerful statement of faith and belonging; that mokopuna knew his connections; felt a powerful love for his ancestors; and the assurance that to greet them, was the right thing to do. This number is set up for men who feel they are going to harm a loved one or a whānau member. While I was on the West Coast it was a perfect opportunity to catch up with the progress with Hikoi Waewae, which has been the passion and pride of Rauhine Coakley and her whānau. Hīkoi Waewae is about discovering and connecting to the whenua and traditional pathways of the tupuna Waewae. The intention of the project is to build whānau confidence and cultural identity, so that they have a strong sense of belonging and impact positively on the overall wellbeing of their whānau and hapū. Hīkoi Waewae offers a range of activities to whānau that focus on elements of te ao Māori combined with access to whenua that hold historical significance for the whānau of Ngāti Waewae whether it be through hīkoi, wānanga or whānau hui. Whānau learn to recite karakia that relates directly to ngā hua o te ngahere. Participants journal every activity they take part in through traditional mediums such as waiata, whakataukī or recipes which are then shared with their wider whānau at hui. At the start of this week I was in Te Tauihu, bedazzled by the views of Pukeone and Tuao Wharepapa on the way to Te Awhina Marae in Motueka and Whakatu Marae in Nelson. This is part of my visits across Te Waipounamu, to spend some time with the managers and kaiwhakahaere who help support our Whānau Ora Navigators. “I have received so much, when it has come to setting my goals. So I have started with going to the gym, which I have support doing this by our navigator. Second goal is starting the progress with quitting smoking. This is a big one for me by my navigator has got me involved with playing social netball, a kapa haka singing group, ‘specially for my kids. So good motivation thinking I have now to quit smoking. My budgeting is still on the works but it is so very on the table with my partner; not quite started but I know my navigator will keep discussing this with me every week”. As this week we commemorated World Smokefree Day on the 31st May, it seemed particularly appropriate that this whānau were pledging to go smokefree part of their whānau plan. On Friday, it was a privilege to return to Hokonui Runanga to celebrate the achievements of the students who have travelled far from home to pursue a dream. We came together to celebrate the achievements of eleven Whenua Kura students who will have completed the Certificate in Agriculture at Telford. There were some fantastic statistics quoted at the graduation at Hokonui Runanga. 64% of the graduates were female; 82% of the graduates already had confirmed a job! 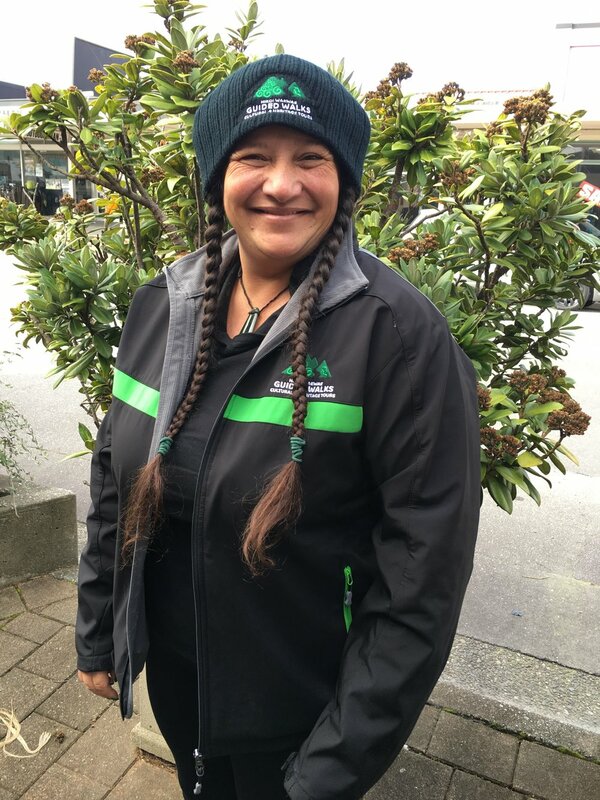 Te Pūtahitanga o Te Waipounamu has been delighted to support these young people through the provision of a Whānau Ora Navigator who has helped them adjust to the study environment, being a long way from home, and the challenges of boarding. Remember, the cut-off date for applications for Wave Eight closes on 30 June. It’s Samoan Language week this week, and what an appropriate theme. ‘Kindness given. Kindness gained. The prospect of snow is always greeted with great excitement from our whānau.